Sermon on 1 Samuel 8:4-20 offered to the people of the Church of the Heavenly Rest on the Second Sunday after Pentecost, 2012. Just over a year ago, millions of Americans woke up at an ungodly hour, pulled bottles of champagne from the refrigerator, and gathered with friends to celebrate the “wedding of the century.” Viewers around the world watched footage of guests arriving at the church as journalists offered play-by-play commentary and made observations about frock coats and fascinators. Fashion enthusiasts speculated about the bride’s dress, music lovers cooed over the list of hymns and anthems, and even church geeks were giddy about the prospect of watching one of Anglicanism’s great traditions played out for the whole world to see. 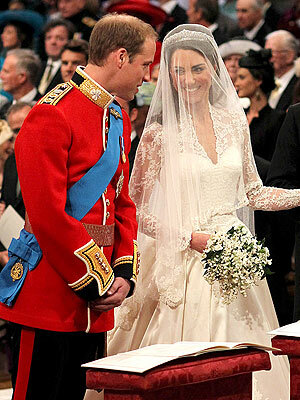 Nearly two billion people watched as the heir to the British throne, William Arthur Philip Louis, and his fiancée Catherine Middleton married at Westminster Abbey, becoming the Duke and Duchess of Cambridge. And earlier this week, the media circus once again descended on that little island in the North Atlantic as Elizabeth II celebrated her sixtieth year on the throne. Every American news outlet had reporters in London for the event; most of the network morning shows were broadcast from outside Buckingham Palace. CNN featured wall-to-wall coverage of the flotilla processing down the Thames in her Majesty’s honor. Americans are so interested in the British royal family that it’s easy to forget that they’re not our royal family! In fact, we fought a war 235 years ago to ensure that the British monarch would not be the head of our government and wouldn’t have the popular influence that she seems to enjoy. Nevertheless, Americans are fascinated by the royal family and by the concept of dynastic rule. After all, we use the same language to describe this country’s prominent political families that we use to talk about Britain’s royal family. We refer to perennially successful sports franchises as “dynasties.” Monarchy has always been an American fascination: not necessarily something that we want for ourselves, but something that inexplicably makes sense to us. We might wonder why the people of Israel rejected the kingship of God and their status as God’s chosen people. What was the reason for Israel’s infidelity? I think it stems from the universal human desire to put our trust in something that we can be absolutely sure of. Though the Lord had brought Israel out of Egypt, though the Lord had established his people in the land of Canaan, the Israelites could not be certain that God would carry them into the future. So the people of Israel chose certainty over faith; they chose the certainty of a king’s political and military authority rather than the faith required to put one’s trust in God. But there is something fundamentally problematic about putting one’s trust in temporal and impermanent things like political and military authority. When those temporal and impermanent things fall apart, as they always will, there is nothing and no one left to trust. This is what Samuel warns against: after enumerating all of the horrible things that a king will do to the people, the prophet tells Israel that when they come to their senses they will cry out because of their king whom they have chosen for themselves and the Lord will not answer them. Once the power of the king collapses, in other words, the people’s trust will erode; they will be less and less able to trust God. In his warning to Israel, Samuel warns all of us that whenever we choose something over God, whenever we put our trust in power or wealth or status or anything else that can fall apart, whenever we give ultimate value to something besides God, we will be disappointed. The only way that we can be truly fulfilled in this life is to put our trust in the God who created and redeemed us. Now there are plenty of people in this world who will tell you that trusting in God is the same as belonging to the right church or voting for the correct political party or driving the right kind of car or believing the right things about the nature of sin or supporting the right baseball team or having the right bumper stickers or giving to the right charities or reading the Bible in a certain way. It doesn’t matter what is correct in any of these examples; the reality is that all of these are like the kings of the ancient Near East in that can fall apart, all of these are focused on the certainty of worldly power rather than the faith required to trust in God. So when we make God the center of our lives, when we choose God over the things that can fall apart in this world, what is it are we trusting? Our answer comes at the cross. The creator of the world had come into the world in the person of Jesus Christ, but instead of leading a conquering army into this world, instead of taking over the halls of power as we might expect a ruler to do, Jesus Christ gave himself up for us, emptying himself and dying on our behalf. Through his death on the cross, Jesus Christ revealed to us that true power in this world only be achieved through powerlessness, that one can possess only through dispossession, that gain can only come through loss. We are called pattern our lives after Jesus Christ, giving up our selves for the sake of others, trusting not in the powers of this world but in God giving his life for us on the cross. The marvelous hymn captures this better than any preacher can: “Therefore he who shows us God helpless hangs upon the tree; and the nails and crown of thorns tell of what God’s love must be. 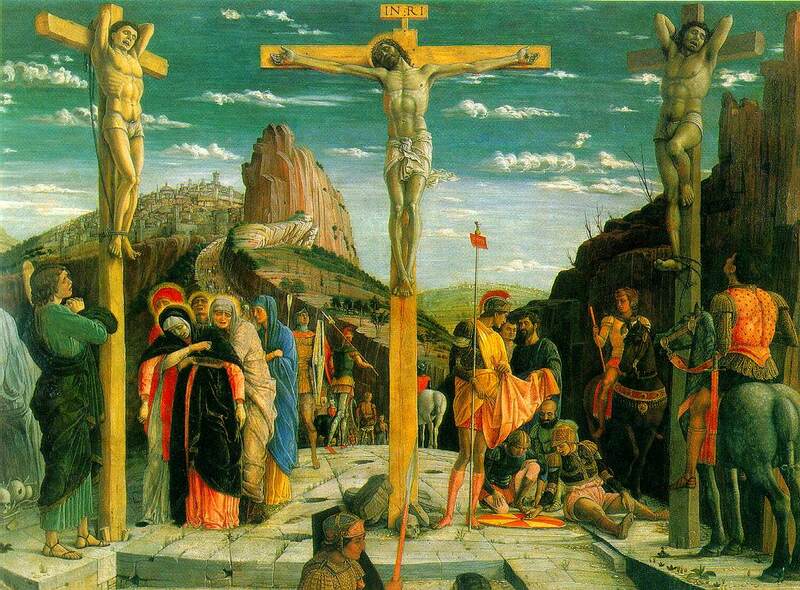 Here is God: no monarch he, throned in easy state to reign; here is God whose arms of love aching, spent, the world sustain.” At the cross, each of us is called to center our lives not on the stone palaces of worldly kings, but on the hard wood of the cross. At the cross, each of us is called to give up our worldly power in order to lift up those who are hopeless and have been laid low by the evil powers of this world. At the cross each of us is called to give of our wealth to support those who are hungry and downtrodden. At the cross, each of us is called not to choose the kings and monarchs of this world but rather to trust in the majesty of God. Fr. Jimmy offers a provocative and challenging sermon to his new congregation at Holy Comforter in Spring, TX. Starting as the new rector of a church is stressful. I have no shame in admitting that. This whole week I have been adrift in a sea of emotions, ranging from joy and happiness to fear and trembling. But this anxious period in my life is nothing compared with my high school senior prom. The whole month leading up to the prom I was a complete basket case. Now, I don’t mean to brag, but merely to state a fact: I was the homecoming king at my high school. So I thought that finding a date for prom would be easy. And oh how I was wrong.